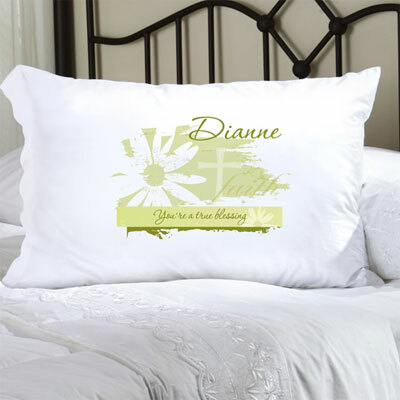 Our Personalized Divine Daisy Pillow Case is decorated with the beloved daisy and cross and "faith". With its calming green tones, it will bring peaceful slumber and serve as a lasting reminder of your faith. 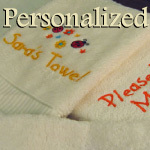 Personalized by adding a name (upper right) and your own sentiment (lower middle) for the ultimate personalized gift. Made of luxurious poly sateen, the pillow case measures 22" x 30" and fits a standard or queen sized pillow. Personalize with two lines of up to 20 characters per line. NOTE: The cross, daisy and word 'faith" is standard to the design. Please allow 5-7 business days for processing this order.